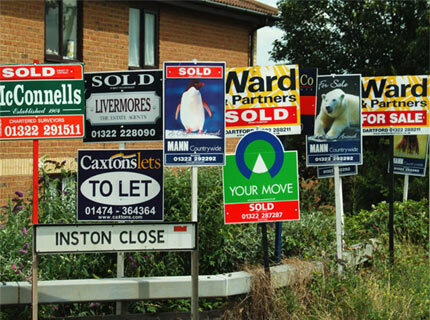 If you’re looking to generate leads from motivated property sellers then leaflets are a must! 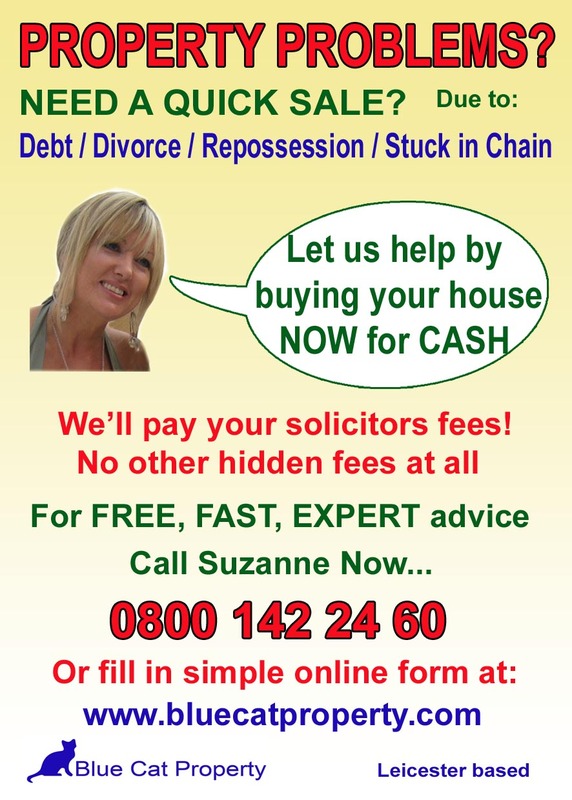 There are thousands of people out there who need to sell their property quickly for various reasons ie; financial reasons, repossession, stuck in a property chain, relocating, bereavement, divorce/seperation etc. Distributing leaflets looking for motivated sellers (people who need to sell their property FAST) is a great way to get to these sellers BEFORE they actually call the Estate Agents. By the time they’ve called the Estate Agent and got the board up it’s too late, the agents have already called their list of regular investors and the deal is gone. It takes a long time to build up rapport, credibility and get a few completed deals under your belt with your local Estate Agents before you become worthy of being on their investors list. Until you’ve done this you have no chance of getting the ‘juicy’ deals. So what can you do? You find them yourself of course! It’s a known fact that most people need to see something visual to encourage them to take action. So they may have been thinking about selling their property because they’re struggling financially but haven’t actually gotten around to doing anything about it yet. 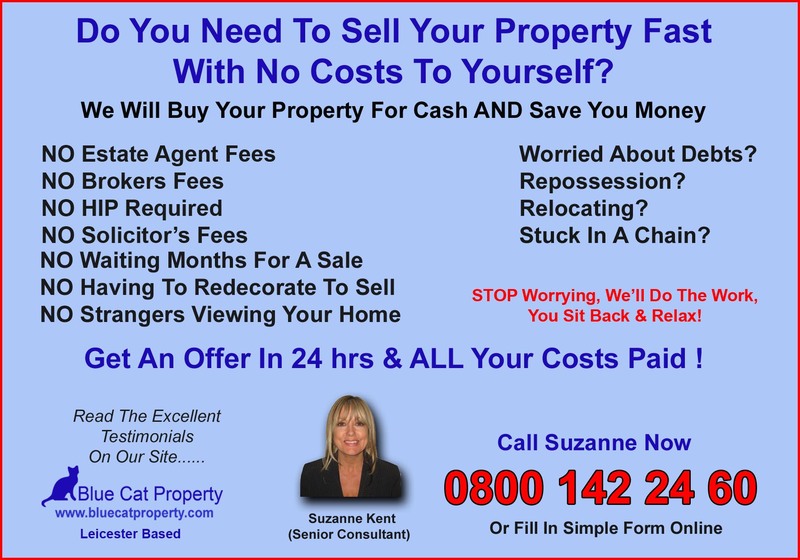 So when a leaflet comes through their door saying “sell your property now for cash” this may be all they need to kick start them into action. So YOU get a call before the Estate Agent does. It’s as easy as that! This actually happened with more than one of the leads I’ve generated. One guy I went to see said he’d seen a programme on the TV about selling property and he started to discuss selling his own home with his wife as they’d been thinking of downsizing as they couldn’t afford the large house they were living in and were having financial problems. Then there was the guy I helped with the Assisted Sale recently. This guy hadn’t paid his mortgage for almost a year and had ignored all correspondence from the bank, even though he knew he was in trouble and would eventually get the property repossessed. The reason he didn’t take action was because he believed he’d have to pay Solicitor and Estate Agent fees to sell his property and he didn’t have enough income to do this. Again he received one of my leaflets saying “Financial problems? Repossession? Help is around the corner, call now and we will pay all your legal fees” so he called me right away and I helped him to sell his property and also made a tidy sum myself at the same time. I’ve had people call me from areas I haven’t even distributed to. This is because people may not need the service themselves but they pass the leaflet to someone who does. ie; a family member or friend, who may be on the other side of the city. This happened to me when a guy called me saying he’d been given one of my leaflets by his daughter who lived in an area I’d recently distributed to. The guy wanted to discuss selling his house quickly because it had been on the market a long time. He had moved out to live with his girlfriend and just wanted to get rid of the responsibility of paying the mortgage and have some extra cash available. To cut a long story short, the house (a three bed detached Dorma in a nice area of Leicester) had been on sale for almost a year and had been reduced to £159,950. After negotiating with him for a week on and off I managed to get the house for £105,000! How many leaflets should you start with? It’s best to start with 5 to 10 thousand leaflets. The response rate isn’t great, but remember you only need ONE lead from the distribution to get your costs back and get a bargain property. I usually distribute 10,000 at a time. It’s best to try and do this once every month, or at least every other month to be consistent. This way you can ‘measure’ your results better. What’s the best size to use? The best size is an A5 leaflet, which is half of A4. The leaflet can be single or double sided. I think it’s better to have them double -sided as they don’t cost that much extra and you can get more information on them. Note: The prices quoted are based on you supplying your own artwork. If you want the leaflets designing for you this costs extra. (Please ask me about this if you’re interested) I design my own leaflets using Photoshop, I actually enjoy it! Or you can just use ‘Paint’ or a word document. Who should you use to distribute them and how much does it cost? I tried a few different methods. I used online delivery companies a couple of times but didn’t find them very reliable or cost effective. Also they mostly want to deliver your leaflet with 3 or 4 others at the same time. This isn’t a good idea as I’m sure you’ve had a stack of leaflets pushed through your door at some point and you’ve thrown them away? It’s much better to have them delivered ‘solus’ (on their own) and delivery companies charge extra for this so it can work out expensive. 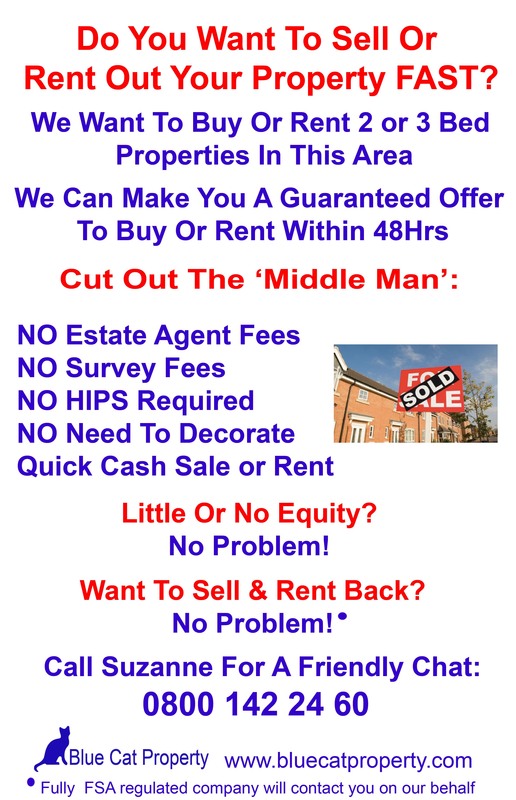 I just put an advert on my local ‘Gumtree’ site which is FREE saying something like ‘Leaflet Distributors Wanted. Great Cash Bonus Paid’ and I got LOADS of replies! Of course you have to be prepared to ‘filter out’ the time wasters etc. I send them an aplication form which is purposely quite detailed, because if it’s too much trouble for them to fill in the form then they obviously wont be bothered to deliver the leaflets properly. I’ve also put postcards in shop windows which is cheap and effective. I’ve recruited leafletters in my own area when I’ve seen them actually delivering other people’s leaflets. One morning when looking out of my bedroom window I watched an old guy deliver leaflets to every house on the road at 7.30am in the morning. I thought to myself “now this guy’s obviously dedicated and reliable,” and when he got to my house I had a chat with him and he’s become one of my most reliable distributors! It’s best to have three or four distributors in different areas that don’t overlap so you know who to pay a bonus to when you get a lead that completes. I give them ‘log sheets’ to keep a record of what streets they’ve done and they also write down any houses that have a ‘For Sale’ or ‘To Let’ board so I can send ‘follow up’ letters to them later. I’ve written up an agreement which I ask them to sign which says that they wont be paid if they are found to be ‘defrauding’ us! It also states they are delivering at their own risk and must be responsible for their own tax & insurance payments. (to cover me) If someone loses a hand as a result of being attacked by a large canine you don’t want to be held accountable do you! I pay them £30 per one thousand leaflets they deliver and a bonus of £500 on completion of a lead. The bonus keeps them motivated and therefore they’re less likely to ‘dump’ the leaflets. It’s possible to deliver a thousand leaflets in a day depending on the type of property you’re delivering to. Presently I have a few distributors, 3 or 4 of them are very reliable (one of them I recruited after he called me re selling his house and he’s become a good friend too) I’ve only had one so far I had to ‘sack’ because I found out he wasn’t doing the job properly. My husband Mike carries out ‘spot checks’ to make sure they’re done correctly BEFORE they are paid. So it’s a relatively simple process that anyone can follow. Obviously your leaflet has to be written in such a way that it looks like an ‘attractive offer’ to a would be vendor but I’ll talk more about this in my next post. So stay tuned! Previous Learning To Be A Property Entrepreneur Can Be Fun! Next How To Get On The First Page Of Google Without Trying! Thanks for this great information on ‘How to use Leaflets’. Thanks for these fantastic blogs that are packed with useful bits of information. I’m considering going down the leafleting route and will use Photoshop to design these. I’ll probably take up your printing service as you’re rates appear to be very reasonable. I would also like to build up my team of distributors and noted your clever way of filtering out the timewasters by using a detailed application form. Would you be kind enough to send me an example template of what you use please?